Allen Event Center is home to concerts, trade shows, professional sporting events, festivals, community ceremonies, and much more. 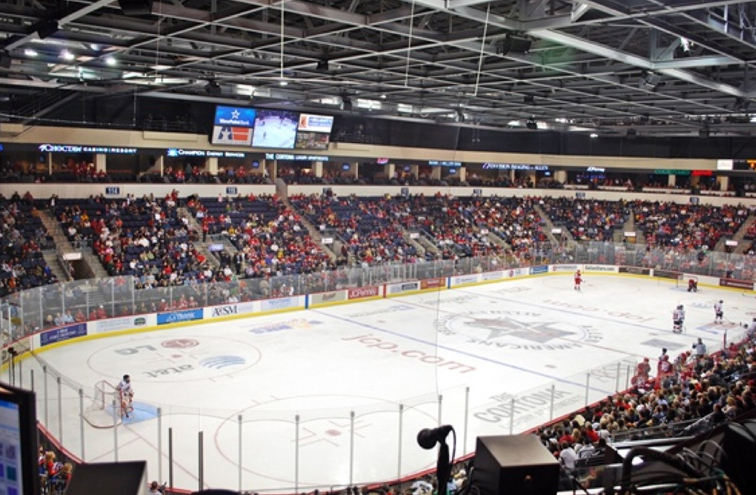 The center also serves as home ice to ECHL professional hockey team, the Allen Americans, Dallas Sidekicks MASL soccer, Texas Revolution IFL professional football team, and Lone Star Conference Basketball Championship. For event information or to purchase tickets, please click here to visit our website. This state-of-the-art facility seats 7,000+ and offers quality entertainment and parking is always free! Premium seating is available including VIP suites, lounge and club seats. Suites include fully furnished suite lounge, granite wet bar and refrigerator, in-suite catering service, corporate logo suite identification and tickets to an Allen American regular season home game. For more information on premium seats and suites click here or contact us at info@alleneventcenter.com.